Once, the 8-9pm time slot was plagued with violent TV shows like All in the Family. This was before the onset of 24 hour news channels offering a live feed of missile strikes or freeway chases with the Juice. Unjustifiably, the FCC issued a policy demanding prime time television be family friendly! For two years, 1975 and 1976, adult themes were banned from "The Family Viewing Hour." Courts didn't let this stand for very long. The prime time slot was back under advertiser control by 1977. Indeed, many television series suffered from the Family Viewing Hour mandate. 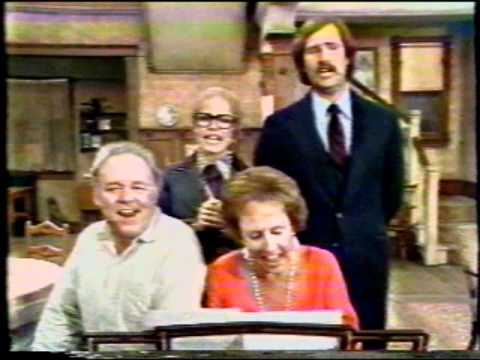 All in the Family, which was the runaway top-rated show in the U.S. since 1971, was moved to 9 p.m. on Mondays after five seasons leading the Saturday night lineup. Producer Norman Lear, citing an infringement on creative freedom and on his First Amendment rights, mounted a lawsuit. With the support of varying guilds, including the WGA, he won the case. The show's cast responded by recording a satirical, never-aired rendition of the show's theme song, retitled "These Are the Days". On November 4, 1976, United States district court Judge Warren J. Ferguson declared the Family Viewing Hour null and void, starting with the fall 1977 season. Ferguson stated while the idea was good in theory, the FCC had overstepped its bounds in having it instituted; the FCC privately lobbied the three major networks to adopt the policy instead of holding public hearings on the matter, and Ferguson ruled on those grounds that the Family Viewing Hour had no binding merit.